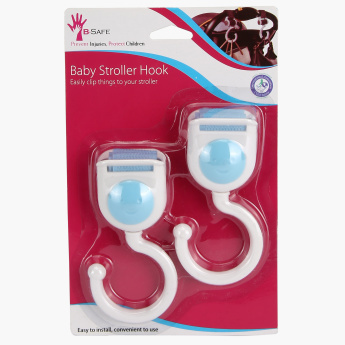 B-Safe Baby Stroller Hook - Set of 2 | Blue | Ideal for travelling. Get this set of stroller hooks to hang your baby's things like a diaper bag and toys while you take your baby for a stroll. These are easy to install and remove and comes handy when outdoors. Feature 3 : Great for diaper bags and toys.